UCL has congratulated the students and staff of UCL Academy after they achieved an impressive set of GCSE results. The Class of 2017 joined the school when it opened in 2012, so they are the first pupils to take GCSEs. UCL sponsors the UCL Academy, a mixed non-selective school in the London Borough of Camden. It opened on 1 September 2012 and the September 2016 intake took the school to its full capacity. UCL was the first university in the country to be the sole sponsor of an academy, sharing facilities, expertise and providing support to teachers and pupils. UCL benefits in turn by gaining insights into secondary education, which informs teaching and learning at the university. In the core GCSE subjects, UCL Academy students have performed well above the national average. In English nearly nine out of ten students achieved the equivalent of an A* to C with 13% achieving the highest new grading of '9'. Over 100 students sat Mandarin GCSE with 71% achieving an A*-C. Engineering and Computer Science have also performed significantly better than other centres. Professor David Price, chair of governors at the UCL Academy and Vice-Provost (Research) at UCL, said: "On behalf of the Governors and the UCL, the Academy sponsor, I wish to congratulate the students and staff of UCL Academy for such an impressive set of GCSE results. These, the first GCSE outcomes of our history, will I am sure be followed by many more excellent results in the future as UCL Academy grows from strength to strength." The results are particular impressive given that 60% of UCL Academy pupils are from disadvantaged backgrounds and are supported by the pupil premium, additional government funding for students who are eligible for free school meals and those looked after by the local authority. UCL Academy Co-Principals Robin Street and Simon Mcbride said: "We are really delighted with such a strong set of results. They are a measure of the hard work and commitment from both staff and students, who have worked in partnership over the last five years since UCL Academy opened. The results don't tell the whole story though. As well as academic success, we pride ourselves on developing young people who are able to think independently but work collaboratively, creating a productive and inspiring environment." 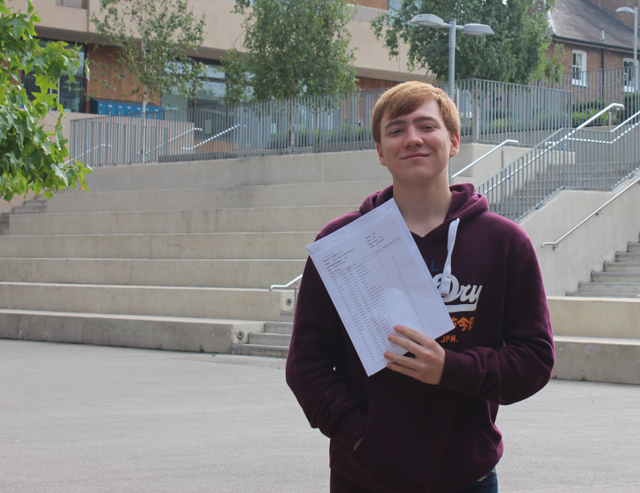 Adam Nightingale achieved 9s in English Lit, English Language and Maths, 4A*s in History, Physics, Chemistry & Biology. He said: "I am really happy with my results; I have done better than I thought I would do. The school has been really good and supportive. I know I would like to go on and have career that helps people, possibly medical research." Anisha Ahmed achieved 6A*s and 3As in her GCSE subjects (9 in English Lit). She said: "I am shocked with my English lit result- I am so happy with it. I am looking forward to continuing my education here at the Academy looking to study at least Maths and Physics. I have loved my time at the Academy and there are too many good times to choose just one. But the support from staff and friends has been wonderful and l hope that I have made my teachers and family proud."